Skype has been a solid product for years now. It has developed into a must-have software for people wanting to keep in touch from country to country. That’s not to say you can’t use it to chat with someone in the same house too (“put the kettle on love…”). 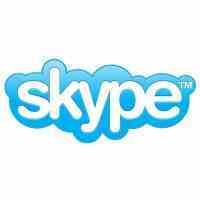 Skype to Skype calls are free but if you want to call a landline or mobile they levy a small charge for this. It can still work out lots cheaper than standard phone tariffs though, especially when calling abroad. The latest release of Skype brings some new improvements. Now you can make video calls to as many as 10 people at the same time. Skype’s new Home area offers updates about the service, details your call purchases and has videos to help you get started. The new offline IM feature will let you send messages to and receive them from other people who are offline a la Messenger/Windows Live. Quality and reliability is better during Skype calls too. A built-in client messaging service tells you about any potential problems with a call and offers suggestions to improve its quality. The main interface now displays photos of your contacts and offers a history list of previous conversations. You can download Skype here free of charge and don’t have to pay to use it for voice and video chat between 2 PCs with Skype on them.